Stay at Castello di Querceto. Castello di Querceto near Greve in Chianti, Tuscany, is one of several castles in Italy with this name (sometimes spelt Castello di Quercetto) which is derived from the latin "quercetum" meaning an oak grove or oak forest ("la quercia" is the oak tree in Italian). Castello di Querceto once held a strategic and defensive position near the Via Cassia Imperiale, one of the main Roman roads built by the Emperor Hadrian in 123 AD. Currently the vineyards and olive groves of the azienda spread along the Dudda valley from Passo del Sugame and, after Dudda, towards Lucolena and Monte San Michele. The castle dates back to the Lombards and it still preserves the mediaeval ground plan and a tower with a Guelph battlement in the middle of the facade. 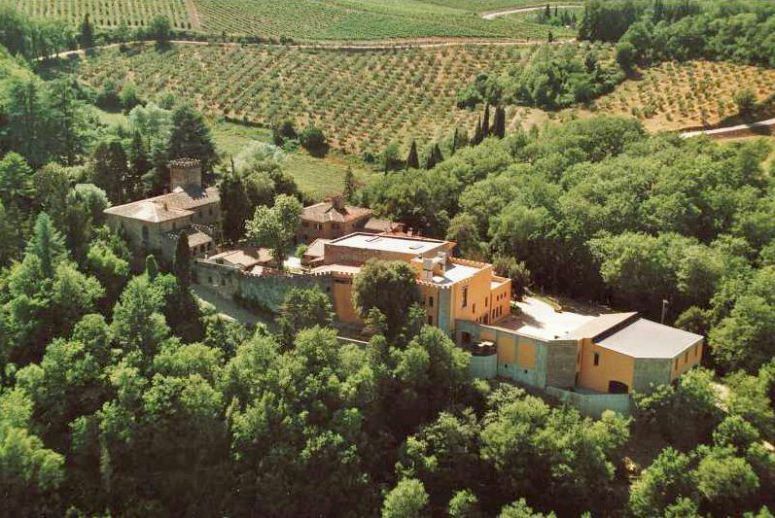 The current Castello di Querceto was built in the 16 C after the destruction of the previous building, which burnt and sacked during one of the several local wars at the end of the 15 C. Even the houses surrounding the castle and the boundary walls were dismantled. Only the side of the wall dominating the valley remained and it is still there supporting the new building. 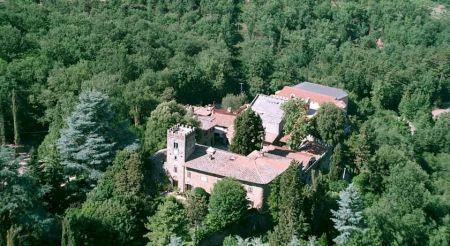 During the reconstruction, the castle was owned by the Canigiani family and was later bought by the Pitti family, and was for long their country residence.